Does The US Defense Secretary Know About Nuclear Sharing? Q: Paul Ingram from the British American Security Information Council. You said in your talk, you made reference to the nuclear umbrella. I wonder if you could tell us whether you feel that the nuclear umbrella depends upon the United States handing over the control of nuclear weapons to some European allies at time of war and for preparing for that when European allies are not spending sufficient on conventional military capability when it comes to Afghanistan. SEC. GATES: Well, you have just given me an idea. We might sit down and say we are willing to talk about it after you get your GDP spending on defense up to two or 3 percent. And I think that would set the bar plenty high for most of them, that it would be a distant, future problem. I think that – I think that the Iran – I think the way I would leave it – it is obviously a sensitive subject – I think the way I would leave it is that my impression is that all of our allies in Europe are very comfortable with the arrangements that we have today. The general was pressing for a root-and-branch reform of Nato, a new strategic concept for the 21st century. But it needs more than that. Even without the challenge of a resurgent Russia, or a persistent Pashtun nationalist insurgency, Nato is buckling under the weight of its own contradictions. The crumbling of the Soviet Union presented an opportunity to establish a new security structure in Europe. It was ignored by the victors, who believed that western-style democracy could be anchored by Nato. The prospect of defeat in Afghanistan should spur alliance members to think radically about security structures that would command collective political support. … the Center for Strategic and International Studies [and] RUSI recently published a compelling article about NATO’s future in view of its current operation in Afghanistan. The authors argue that 'the troubles the Alliance has encountered in Afghanistan are not specific to the ISAF mission. They reflect very real changes in the global security environment – issues that to date NATO has failed to address'. In short, they see the operation in 'Afghanistan as a symptom, not the cause', and ask some hard-hitting questions that I believe our Alliance must answer. Questions such as: what are the long-term consequences if nations remain uncomfortable with far away missions like Afghanistan? Will NATO permanently opt to scale back missions outside the Euro-Atlantic area? What are the consequences of undertaking more missions like Afghanistan in light of varying beliefs within the alliance about the use of military force? These are important questions – questions that rightly belong at NATO’s political level. However, the answers to these questions are undoubtedly shaped by what we do at the military strategic, operational, and tactical levels. NATO’s role and credibility as a security provider in the post-cold war era will be judged by how we respond to emerging crises, and if committed, how well we perform in our operations. This presupposes an answer to one of the questions Craddock has already posed. Should NATO play a role in security provision beyond the Euro-Atlantic area? This is a position that divides NATO. France and Germany are not keen on NATO taking a global leadership role, while the US (with the UK at its side) is enthusiastic for such responsibility. However, it is likely that the strongest opposition away from an emphasis on territorial defence to expeditionary missions will come from the NATO members in Eastern Europe. The Baltic States, Poland and others have a vision of NATO as their protector from Russia. This has only sharpened as a result of the summer’s conflict in Georgia. However, that said, if NATO does decide to take on missions like ISAF, it has do to do so without reservation, united and using all tools necessary to succeed. This has not been the case with ISAF. While troop levels are roughly consistent with the requirement of field commanders, nations have been reluctant to provide certain capabilities (for example, the constant lack of helicopters for troop and supplies transport to remote battlefields), and the debate about the long list of national ‘caveats’ on the use of forces in country has been close to an embarrassment for the Alliance. This is the risk for NATO of pursuing continued relevance through the acceptance of ‘missions of choice’ rather than those forced on the Alliance by the need to defend its members’ territory. … the conflict in Afghanistan cannot be won by military means alone – we are just one member of a greater team. The military must provide a safe and secure environment to enable the conditions for the government of Afghanistan – and the international community – to deliver good governance, reconstruction, and enduring development. For this co-operative effort to succeed, we in the international community must come together as part of a truly comprehensive approach. The current effort remains disjointed in time and space. Perhaps the root of the problem is that we don’t all see the concept in the same light. For some a comprehensive approach entails the many actors in the international community playing their roles and doing their parts, individually, toward the collective vision for success. In the end – I believe the overarching strategy of the international community is correct – but we must find a way to enhance our comprehensive approach toward success. We need a cohesive and coherent effort with cooperation and coordination – building on common strengths and off-setting persistent shortfalls. While NATO’s ‘take, hold, build’ strategy is the classic strategy for fighting an insurgency, the problem for NATO is that it doesn’t control the final part of this. It has to work with the EU, the United Nations and a wide range of NGOs. The Provincial Reconstruction Teams are part of meeting this need on the ground, but NATO is not structured at the command or political level to run a reconstruction effort. It is true that there needs to be a unified command effort in Afghanistan, but it is doubtful that NATO is best placed to undertake that role. NATO needs to agree, at the political level, to provide forces for its operational commanders and then to allow those commanders to get on with their job. It would be best, if operating outside Europe, that this were done at the service of the United Nations, to reinforce an internationalist and cooperative approach to security building. The UN can bring expertise to bear in areas where NATO is deficient, allowing for a much greater chance of success in Afghanistan. … we are demonstrating a political will that is – somewhat – wavering. And it is this wavering political will that impedes operational progress and brings into question the relevancy of the alliance here in the twenty-first century. Clearly – the alliance cannot nor should not do everything everywhere – but we need to define what role we wish to play in today’s security environment. NATO must continually assess the role it wants to have in the current security environment and assess its capabilities and its will to fulfil that role… I believe our alliance should start with a comprehensive global strategic threat assessment – shortly followed by a twenty-first century strategic concept. Whatever we decide, NATO’s role is in our world – we must all be certain that our reach does not extend beyond our grasp – that our level of ambition is in step with our political will and our military capability. .. the use of common funding. With a system of common funding – deployment costs can be shared – thereby reducing the strain on national defence budgets. More flexible and rapid decision-making processes are needed if we are to address the challenges we face today and tomorrow. Our alliance has long operated under the system of consensus – and at the political level – this system has proven powerful in garnering international support and legitimacy. But do we really need to achieve consensus at every level of committee within the NATO structure? In my judgement this policy stands squarely in the path of agile decision-making. These proposals taken as a whole make sense. They would transform NATO and end the ‘war by committee’ controversy that first emerged in Kosovo. General Craddock properly dealt with military and operational reform of NATO to make Alliance operations more effective. That is his role. However, he ignored one area of NATO defence strategy that is under his control, and where reform is most urgent - the need to reconsider the role of nuclear forces in Alliance policy. If NATO is to become involved increasingly in expeditionary warfare with Afghanistan as a model, then nuclear weapons are redundant – and indeed counterproductive, they simply have no role whatsoever in such scenarios. The risk assessment and Strategic Concept debates the General proposes have to take this into consideration. NATO’s nuclear forces also have no role for defence in the current strategic situation. NATO retains a significant nuclear force, both tactical and strategic, supposedly deter aggression. However, the massive conventional forces of the Warsaw Pact have melted away or even joined NATO. There is simply no conventional threat to the Alliance. Similarly, with Russia as a strategic partner, there is no extent nuclear threat to the Alliance. Such nuclear or other WMD threats as might emerge (Iran notably) could, with adept diplomacy and appropriate security guarantees, be negotiated away before they emerge. Rather than refusing to discuss arms reductions and elimination, thereby hurting non-proliferation efforts, NATO needs to engage with its neighbours to achieve a mutual end to WMD threats, and the blueprint for that engagement needs to be written into the Strategic Concept. A NATO military that was not subject to consensus rules for operations, as the General has proposed, would mean that elimination of the Alliance's nuclear role would become urgent. The Cold War thinking that General Craddock says dominates the Alliance at present must change. The ridiculous assertion in the Strategic Concept that it takes the presence of American nuclear weapons in Europe to maintain the trans-Atlantic link is one part of the NATO’s thinking most in need of such change. A 21st century NATO cannot simply rely on 1950s nuclear thinking. 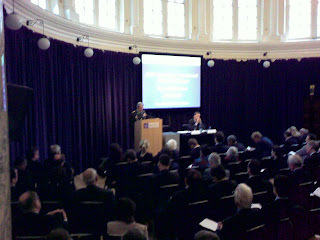 General Craddock’s speech is available on the RUSI website. The main headlines that emerged from the informal Budapest Defence Ministers meeting concerned Afghanistan. Ministers agreed that NATO forces could go after drug producers, primarily as a means to cut off funding to the Taliban. However, as is often the case with NATO, the items that Ministers hoped journalists would concentrate on were not the most important ones to come out of the meeting. NATO Monitor has already covered the controversy at the meeting over defence planning for military intervention in the Baltic States to prevent a Russian invasion. There is deep division amongst NATO ministers on this topic, and a NATO source contacted by NATO Monitor expressed irritation that this had risen to the political level at all. Had the authorities at SHAPE simply begun some contingency planning without any fuss, it may have gone unnoticed, our source said. By raising the question with ministers, SACEUR General Craddock has both divided the political leaders of the Alliance and guaranteed that any future exercises or planning activity will stir up acrimony with Russia. Understandably, the future nature of NATO contacts with Georgia was discussed in the main meeting, and on the margins. NATO was keen to signal political support for the Georgian government. Having decided to establish a NATO-Georgia Commission this Summer, in the wake of the Georgian conflict with Russia, Ministers met with their Georgian counterpart in this forum for the first time - promising "the coordination of assistance in areas such as defence and security cooperation, security sector reform and airspace management." (NATO's report can be found here). However, for Georgia and for the United States, this was another opportunity to press for Georgian accession to the Alliance. US Defense Secretary Gates came into the meeting saying he would raise this with his colleagues. His goal was to have the North Atlantic Council meeting this coming December approve a Membership Action Plan for Georgia (and the Ukraine). A positive reaction in Budapest would make this easier. However, Chancellor Merkel of Germany has already ruled this out. Meeting with Russian President Medvedev on October 2, she told the media that it is too early to move ahead. (See a report here) Soundings amongst other NATO nations make it clear that Merkel has considerable support. Other aspects of some NATO members' approach to Georgia have irritated Secretary General de Hoop Scheffer and the United States. Scheffer has expressed irritation that the French brokered peace deal allowed Russian troops to remain in South Ossetia and Abkhazia indefinitely, although it is very hard to see how any other outcome could have been achieved. 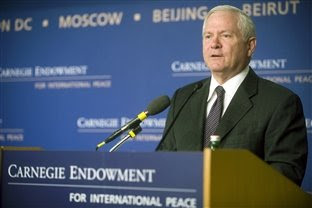 Further, the US has been prepared to indirectly support arms sales to Georgia to allow the rebuilding of military stockpiles destroyed by Russia during the short Summer war. US experts have been advising the Ukraine on appropriate arms to supply, including anti-tank missiles. The Bush administration hold talks with Georgian representatives in Washington DC later this month about supplies of equipments and weapons for the Georgian military. NATO ministers discussed this informally in Budapest and ruled out Alliance support for rebuilding Georgia's military. Even influential members of Congress do not support the administration on this one. Howard Berman, chairman of the House Foreign Relations Committee has ruled out the actual supply of weapons to Georgia. In short, the US, with British and some Eastern European support, wants to continue the aggressive posture of pushing the boundaries of the relationship with Moscow through a step-change in relations with Georgia and other nations on Russia's periphery. Other NATO members have looked at the war this Summer and seen the potential for a new Cold War, and decided they want no part of it. The needs of the continuing ISAF mission in Afghanistan continue to dominate NATO meetings, and media coverage of them. But some vital questions of European security are overlooked if tactical changes in Alliance operations are the only focus. NATO's interaction with Russia is, in the long term, much more significant for the future of the Alliance. And yet, these questions get relatively attention at present. The German Defence Minister Franz Jozef Jung told his colleagues that the NATO-Russia Council should be reactivated. With matters of enormous strategic importance to discuss, he is surely right. The outcome of the Afghnaistan mission is important to the future role of the Alliance, but relations with Russia are much more so. If the confrontation over Georgia, and now over defending the Baltic States, cannot be resolved successfully then the outlook is bleak. Prolems that must be resolved include differences over missile defences, the CFE treaty and tactical nuclear weapons. Without agreement on these topics, a new Cold War looms on the horizon - and that is in no-one's interest. The Defence Ministers meeting in Budapest wrapped up this afternoon after two days devoted to discussing the mission in Afghanistan, supporting naval security off the coast of Somalia and relations between the Allaince and Georgia. Nothing public on defence planning, nothing on solving relations with Russia. NATO Monitor will publish a fuller review tomorrow. Scheffer told a conference in southeast France that NATO did not have a direct role to play in the issue, but said he was worried that the United Nations had failed to curb Iran's nuclear ambitions. "It is a major challenge to prevent Iran from continuing to strive to get the bomb," Scheffer told a World Policy Conference organised by France's IFRI foreign affairs think tank. "I am not positive about the world being able to stop Iran from fulfilling its ambitions," he added. Of course, this raises at least one question. If, as Scheffer is quoted as saying elsewhere in the article, the UN is not really capable of dealing with this problem at the moment, why isn;t NATO engaged? During the Cold War NATO, specifically the North Atlantic Council (NAC), was the premier forum for security consultation and cooperation between Allies. A potential nuclear threat to the Alliance would have been an obvious subject for discussion, especially if that potential threat bordered an Allied nation - as Iran borders Turkey. Instead of working together through NATO, the US and several European Allies have been pursuing separate tracks of negotiation with Iran. Using the NAC they could present a truly united front. Moreover, with the US and NATO engaged they could offer the kinds of security guarantees to Iran's leadership that are likely to be necessary if Iran is to open up completely and abandon its nuclear weapons programme, or prove once and for all that it doesn't have one. NATO could also remove the few remaining US free fall nuclear bombs from Europe. This relic of the Cold War is useless for security purposes and could be used as a piece of the puzzle to get arms control progress with Russia and Iran. Such a withdrawal would also do much to lighten the mood in the review process of the NPT. In current circumstances Scheffer's judgement about Iran is probably right. it is a pity he doesn't look beyond hand wringing to the positive role the Alliance he leads could play in changing the dynamic of the nuclear dispute with Iran. At the same time that NATO ministers are being forced to confront questions about the defence of the Baltic States, they are also looking at a number of other items. One stands out as the kind of mission that is transforming NATO into a 'global security provider'. At the request of UN Secretary General Ban Ki Moon, NATO will dispatch some ships from their Standing Naval Maritime Group to the coast of Somalia. These ships will participate in patrols from late October through December to prevent Somali pirates hijacking ships as it passes the coast of East Africa's most dangerous failed state. They will also provide security for ships of the World Food Programme as aid is delivered to Somalia. This presence, together with other naval efforts including that launched by the European Union, and the US presence already in the region, should help prevent a recurrence of the capture of a ship, recently seized by Somali pirates, that was heading to Africa with tanks and other military equipment aboard. US Defense Secretary Robert Gates has urged his counterparts in Budapest to allow Georgia to get back on the road to membership for NATO at Ministerial meetings this December. He wants Georgia to be awarded the Membership Action Plan (the last step before joining the Alliance) that it was denied in Bucharest earlier this year. German Chancellor Angela Merkel is known to be strongly opposed to such a move, especially after the reckless assault ordered by Georgian armed forces on South Ossetia by President Saakashvili. While the official agenda in Budapest concerns Afghanistan and support for Georgia, as NATO Spokesman James Apathurai told journalists earlier this week: any NATO ally or indeed SACEUR if he wishes to can put issues onto the agenda. And the item that, if not on the agenda, is certainly the most important question to have arisen within NATO since the end of the Cold War is - what do we do about Russia? And, more particularly, do we need to be taking active measures to defend ourselves against Russia? As we have reported, at the informal Ministerial in London a couple of weeks ago, some NATO nations were seeking to have the NATO Response Force tasked with potential deployment within Alliance territory in the event of a threat from Russia. Also, there was a discussion about whether the military staff at SHAPE should be planning for contingencies involving potential Russian threats to the Baltic States. This is absolutely fundamental to the future of NATO. If the Alliance is unable to provide the security that the Baltic States thought they were getting when they joined, if the Article V guarantee is no guarantee at all - what is NATO about? All the discussion about NATO as a 'global security provider' that its advocates have been passionately advocating for the past couple of years becomes meaningless if the Alliance cannot do collective defence of its own members. At least, that is how the Baltic States, Poland and their supporters (principally the US and the UK) see things. Others have a rather different take. France and Germany (and note by the way how quickly the divisions that emerged within the Alliance over the invasion of Iraq have reasserted themselves) say that while the Alliance is, of course, about collective defence, the Baltic States are exaggerating current threats. There is no danger of war with Russia on the northern flank, and to begin active preparations for it is merely to provoke the Russians in an unnecessary fashion. NATO's SACEUR, the top military commander, wants to begin contingency planning for potential conflicts with Russia in the Baltics, or in Poland. American General Craddock is reported to have written a letter to all 26 allies asking for permission to go ahead with defence contingency planning. He has also been discussing the issue with NATO Secretary General Jaap de Hoop Scheffer. They take the position that he has the right ot do this planning, but that the support of the Allies is important. Of course, seeking permission of the North Atlantic Council (NAC) turns this from something that is purely a matter of military caution to a matter of the highest Alliance politics. This situation has arisen because, when the three Baltic States joined NATO in 2004 the Alliance was working to make Russia a strategic partner and no need for such contingency planning was seen. But now, if the NAC gives the go-ahead, this will ratchet up the political pressure on the relationship with Russia, making a serious international situation even worse. If the NAC doesn't go ahead then the three Baltic States can argue that NATO is not prepared to defend them as it should. Craddock wants to begin with a risk assessment for Estonia, before moving on to prepare contingency plans. Germany and France argue that this would provoke open confrontation with Russia. This internal dispute risks making the security situation in Europe worse. It shows the urgent need to sit back down with Russia in the NATO-Russia Council and hammer things out. The alternative, a lurch back to the Cold War would be in no-one's interest. It also shows how NATO has changed over the past decade. The new members have very different perceptions of threats to their security form the old members, and those differences will be very hard to reconcile. Further, in the Cold War or through the 1990s NATO would have had no problem with dealing with this problem. The expeditionary Alliance, bogged down a war even the British commander in Afghanistan thinks is unwinnable, has its hands full with new tasks, the tasks that the Secretary General hopes will become its raison d'être - those that involve a global vision of NATO underpinning security with its military force. And yet, so occupied, it seems unable to agree on the basics of mutual defence at home. This problem needs to be resolved, and resolved very quickly. If not, the Strategic Concept debate that will begin next Spring at the 2009 Summit will prove very hard indeed. much of the discussions in Budapest will revolve around ways to boost NATO's capabilities at a time of global economic slowdown. Officials say the financial crisis should encourage member states to make better use of their defense budgets. 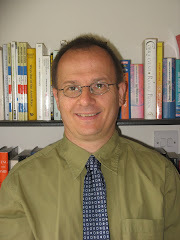 "The pressure on national budgets will only grow as a result of the current financial crisis. Which means finding efficiencies across government spending will become ever more important," said alliance spokesman James Appathurai. Ministers will also look to agree a target of adapting forces so that 50% are deployable beyond NATO's borders. This is not without controversy, as Turkey, Poland and the Baltic States are said to be sticking firmly to the position that their national defense needs are more important than the ability to project power globally. NATO Monitor will keep up to date throughout the meeting. A couple of related items came up at NATO Spokesman James Apathurai's press briefing last week. Journalists asked about the NATO Response Force (NRF) questions that had leaked during the London Defence Ministerial a couple of weeks ago, and a group of NATO nations (plus Sweden and Finland) which is establishing a combined heavy airlift capability took a big step towards the purchase of the C-17 aircraft they will operate for the Alliance. Appathurai was asked "whether you can give us any flavour of what were the discussions in London between the Ministers of Defence on what to do about the Baltics, whether there's any need to give them any sort of greater defence, reassurement?" He replied that "there was an informal discussion amongst the NATO Defence Ministers on the issue of planning and exercising for collective defence. The consensus, not a formal decision because this was not a decision-taking meeting, but the consensus was that NATO has always done what is necessary to ensure that the necessary... that the appropriate planning and exercising is in place for the defence of allied territory. That is one of our core... or "the" core task of NATO; that no one should be surprised if any prudent planning or any exercises take place in future to meet... to continue to meet, excuse me, that core task. And if and when such planning or exercises take place, this should be considered business as usual for NATO." De Hoop Sceffer and US Ambassador to NATO Volker have previously promised to do all that is necessary, both in terms of planning and exercises, to ensure that NATO is ready to defend the Baltic States. However, the idea of formally committing the NRF has become controversial as it is symbolic of the new confrontation with Russia. This has been building as Russian objections to the deployment of missile defence in Eastern Europe, and NATO nations failure to ratify the Conventional Forces in Europe (CFE) Treaty led to a cut-off in cooperation on CFE implementation. The Georgian conflict this summer has turned a simmering dispute into a full blown stand-off between the two. The signing of the Memorandum of Understanding for the collective purchase of C-17 transport aircraft is significant in this context. It gives NATO a joint capacity to transport the NRF (as opposed to asking for American help) and thus contributes to enhanced operational capacity for the NRF. Since the transport wing will be based in Hungary, it also shifts the balance of NATO forces eastwards, and seems to go against promises about the restriction of military infrastructure in the east of Europe that were made to Russia repeatedly during the past 15 years, thus contributing further to Russia's sense of encirclement, and to the crisis in relations between NATO and Russia. NATO leaders protest they don't want a new Cold War. They need to work out relations with Russia very quickly if it is to be avoided. Russia has announced plans to step up its nuclear force modernisation, and to work on its own missile defences. It has suspended cooperation with NATO on CFE and used that suspension to mount the Georgia operation in stealth. It has threatened to significantly enhance its military forces in Kaliningrad. In present circumstances, the internal NATO debate about stepping up defence cooperation for the Baltics can only contribute to this negative spiral.